Reflection: Why Aston Villa won’t get promoted playing like they did at Bristol City. I, like many others, took my perch at Ashton Gate with some anticipation. 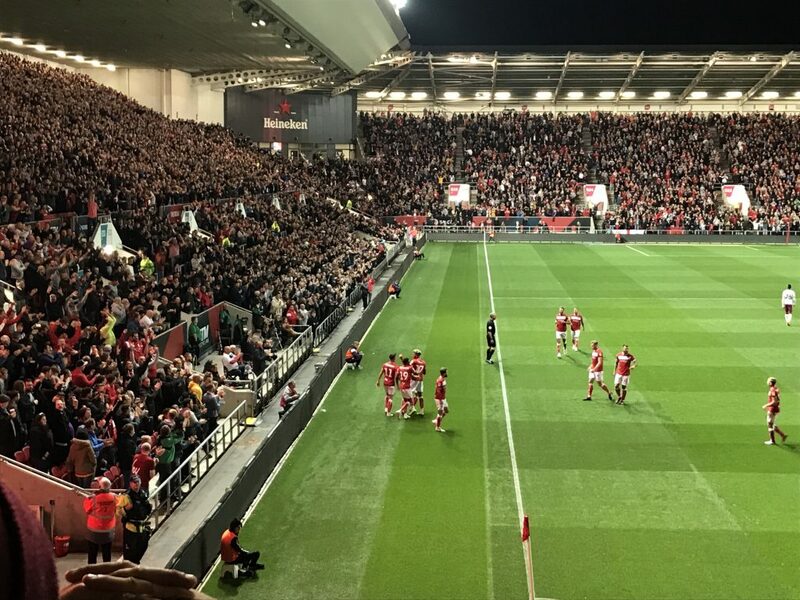 A Friday night jolly in Bristol, a Villa away day and on a promise from Steve Bruce that we just needed to be patient for things to go our way. The reality of following Villa in recent seasons, concentrated yet further under Bruce, saw an all too familiar game pan out before us. Whilst there were moments of misfortunate, including a decision or two that didn’t go our way, this was still a lame and at times abject performance. Make no mistake, nobody walked away thinking that Aston Villa looked like they were on the cusp of threatening a promotion push. Apart from the manager, apparently. The truth is we rarely looked comfortable. Particularly at the back, a theme that just keeps on running as the games begin to tick by. It was audible amongst fans wandering away from the ground, muttering to themselves that we looked mid-table, at best. Tuanzebe shows all of the hallmarks of a good player, but his inexperience at senior level bleeds out a key moments. Chester’s stock continues to worryingly tumble in the absence of a competent partner. Hutton is Hutton. A consistent trier, but lacking genuine quality. Jedinak’s physical presence alongside Chester cannot make up for his awkward positioning, unorthodox clearances and a chronic lack of pace. Behind this we also have one of the least confident looking goalkeepers in recent memory. City looked to capitalise upon this from the offset, starting with a high tempo and eagerness to get in behind us. With annoying predictability, we soon found ourselves behind. After failed attempts to dispossess a Bristol City attack, an effort from the edge of the box took a minor deflection to send the ball beyond the frail Nyland. The Norwegian keeper appeared to have shifted his weight in anticipation of the effort, an error that looked dubious live and all the more poorer upon review. Villa took the remainder of the half to find the equaliser, with Hourihane’s freekick powerfully headed home from close range by Bjarnason on his return to the side. Whilst a welcome goal, at an excellent time, little of note had come before it. Indeed, I feel it’s important to emphasise just how few passages of play came to anything at all. The lack of drive, urgency and intent was alarming. City looked comfortable. We looked bereft of any notion of creativity. The second half only served to illustrate our lack of invention, both from the players on the pitch, who should take their share of scrutiny, but also that of Bruce. Hourihane, Bjarnason & McGinn have all the attributes you’d think necessary to hurt teams. There’s pace, technique and goals amongst them. Yet, we looked so limited. Grealish, deployed again in a non-preferred wide role saw plenty of the ball but to little effect. Jack’s undoubtedly got bags of talent, but we desperately need to find a way of tapping into it to better effect. As pleasing as it is to watch his frequent ghosting movement and close control he has in abundance, it also needs to be purposeful. In truth, there was little to write home about from the second half. A fiercely struck McGinn drive was saved. Hourihane fired an effort narrowly wide. Beyond that, we were at best pondering how we might attack, rather than actually doing it. Bruce was again painfully slow at influencing or dictating change from the bench. When the changes did come they if anything worsened Villa’s shape and unbalanced us. Bolasie brought instant interest, but it must be remembered this is a player who hasn’t seen first team football for a year. Adomah, still bereft of form and [maybe] disillusioned after attempts to move him on, brought little to proceedings. What it did leave us with, bizarrely, was no recognised striker on the field. We hadn’t thought it necessary to include one of the bench either. And so it was, that we were playing out the final minutes, of a game we would ideally be looking to win, with nobody to take advantage of two wingers now being on the pitch. Illogical at best. Many would feel we have the players to take control of games and over ninety minutes at the very least give teams a stern test. Few football fans believe their club has a divine right to win games, but there is the expectation that the players try and that the management set them up to do it. We find ourselves at another uncomfortable juncture, one that can appear over-reactionary to outsiders looking in at times. Yet despite the investment, despite patience, despite watching our club repeatedly fail to learn from its mistakes whilst lesser teams progress, here we are. As concerning, there are now players who appear to playing within themselves. They do enough, but there are too few who have woken up to the reality that they need to be the ones to step up in-game for Aston Villa. The manager is far from perfect, but there’s got to be some soul searching amongst individual players too. The bigger concern remains our lack of any discernible style of play, lack of urgency and at times bizarre tactical arrangements. We simply don’t look capable of building momentum in game, taking control and capitalising upon any advantage. We also look as likely to concede a goal as we are to score one. If we are going to be taken seriously in this league, let alone as promotion hopefuls, these things need to be addressed. The opportunity for change comes quickly, with a home tie against bottom side Preston at Villa Park Tuesday evening. 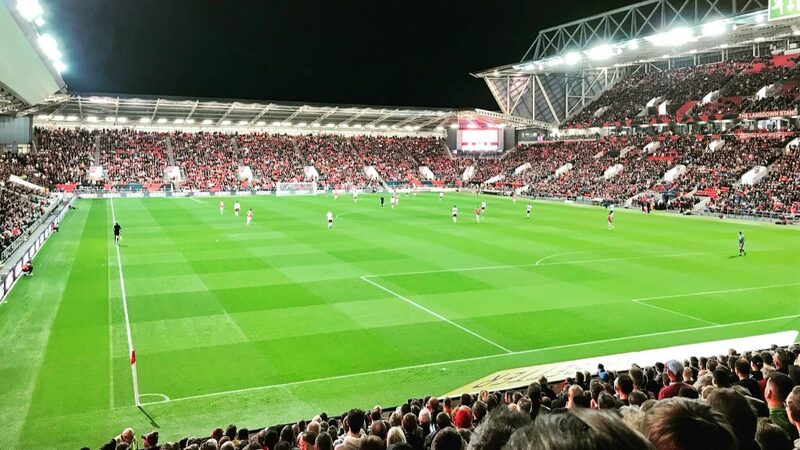 Missed the Player Match Ratings from the Bristol City game? Find them here. FT #avfc get a point at Bristol City. ❌ But it was another laboured, abject performance. ❌ Few moments of excitement. ❌ Ending a game we are chasing, with no strikers on the pitch, defines the Bruce era. The Villa Underground has depended upon your support since 2011. Use Twitter? Be sure to follow The Villa Underground. Doomsday December: Brentford defeat puts Bruce & promotion at risk. Fulham Report: 2 wins in 4 days raises Villa spirits going into Blues derby.